4G Campus-wide Network under the YTLC "Education Partner Program"
UTAR and YTL Communications Sdn. Bhd. (YTLC) signed a Memorandum of Agreement (MoA) at UTAR Petaling Jaya Campus on 27 July 2010. The objective of the MoA was to collaborate under the auspices of the YTLC "Education Partner Program" (EPP) to establish a 4G campus-wide IntraNET infrastructure at UTAR Perak Campus. The MoA was signed by UTAR President Ir. Prof. Dato' Dr. Chuah Hean Teik and the Chief Executive Officer of YTLC Wing K. Lee. Signing as witnesses were UTAR Vice-President (R&D and Commercialisation) Prof. Dr. Lee Sze Wei and YTLC Executive Director Jacob Yeoh. UTAR Council Chairman Tun Dr Ling Liong Sik graced the event as the Guest-of-Honour. The MoA signified a synergistic partnership as YTLC being an experienced licensed network facilities and network services provider complemented UTAR's commitment to provide students and staff with quality IT resources. The significant partnership also expressed the commitment of both parties to work together to achieve a common goal to contribute positively to the National Broadband Initiative (NBI) launched by the Government of Malaysia. In his address, UTAR President Prof. Chuah expressed his appreciation to YTL Group and YTLC for having the confidence in UTAR and had chosen UTAR, the first among private universities, as their strategic partner. He said the facility provided under this MoA would mean a lot to staff and students and once successful it could be extended to the other UTAR campuses. 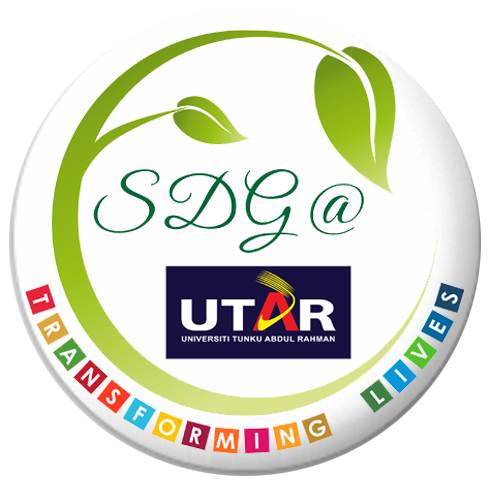 He further added, "As a not-for-profit organisation, UTAR relies on the support from individuals and corporations to continue to strive towards providing the best in education, research and services. Therefore, this partnership would enable the University to move forward in enhancing its facilities for the University community." The CEO of YTLC Wing K. Lee in his speech said, "I am pleased to announce that YTL Communications is very much on track to becoming a major contributor to the NBI. We have invested RM2.5 billion in our 4G network infrastructure to reach at least 65% of the populated areas nationwide." He also mentioned that it was in special consideration given to university students that YTLC had specially created the EPP. With this initiative, more higher education institutions and their students could benefit from the powerful 4G enabled education environment which in turn would contribute to the larger future success of the nation. Under the EPP, UTAR staff and students would enjoy high-speed, wireless broadband access at anytime and from anywhere within the campus. They would get converged data and voice services totalling 300 Megabytes per user, per month for a period of three years. Ir. Prof. Dato' Dr. Chuah Hean Teik exchanging agreement with Wing K. Lee. Looking on are (from left) Prof. Dr. Lee Sze Wei, Tun Dr. Ling Liong Sik and Jacob Yeoh.